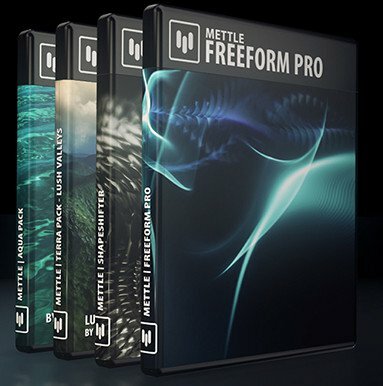 Mettle Plugins Bundle 2018.10 (x64) | Free eBooks Download - EBOOKEE! Mantra VR is a comprehensive set of stylization FX, designed to take your Cinematic 360/VR production to the next level. Brought to you by the creators of Mettle SkyBox 360/VR plugins, they are built to work on spherical footage in After Effects and Premiere Pro. Mantra VR comprises of 16 effect modules, ranging from digital transformation to pattern generation, fluid simulation, Droste effect replication, mirroring, and more. Drag-and-drop simple to apply, all modules come with a wide range of presets to choose from, enabling you to easily achieve complex stylized looks with a few clicks of a button. Tweak, merge, and chain the effects together to create unique results. Mantra VR comes with a built in master UI module and an intuitive nodal based workflow solution that offers a high level of versatility to easily apply and manage multiple effects in your project workspace and also allows you to use audio to drive animations. Transform an After Effects layer into so much more: terrain, morphing organic shapes, an array of primitives, water simulation, character animation. Three main tool sets: Mesh Warp, Displacement Mapping and Render Primitives. Works in 360В° - Compatible with the integrated SkyBox plugin, now part of Adobe After Effects 2018. An incredibly powerful tool to design and animate 3D logos directly in After Effects. Create organic backgrounds, 3D morphing shapes, and much more. Compatible with SkyBox 360/VR plugins. No comments for "Mettle Plugins Bundle 2018.10 (x64)".